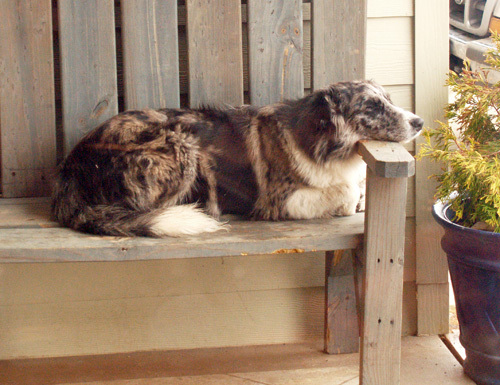 Our puppy loves to nap on the front porch. Most of the time she sleeps on the rug. Recently she decided to surplant the kitties from their favorite nap spot. We had our first snow of the year recently. I do not care for winter or snow, but I greatly appreciated any precipitation in this historic drought. 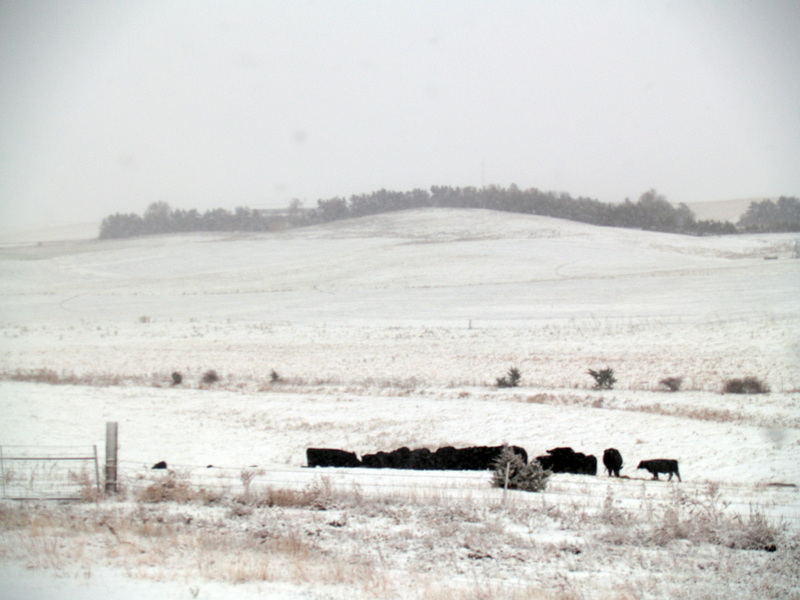 The black cows and white snow did make for some pretty pictures too. 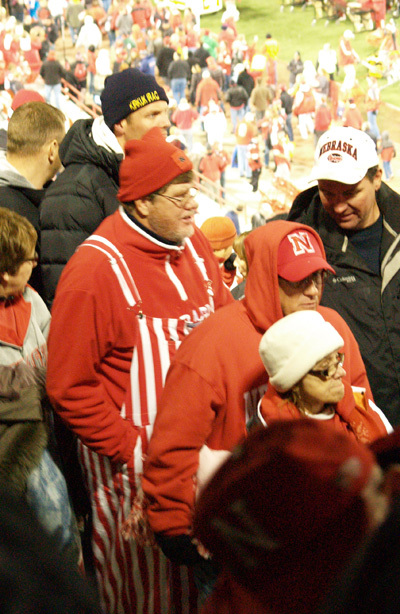 Hubby and I recently attended the Nebraska Cornhusker football game against Michigan. 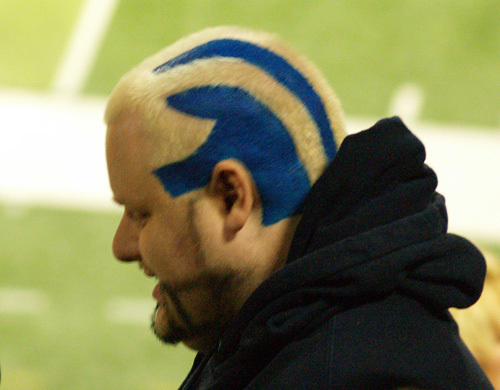 Below are a couple of fans from our section.